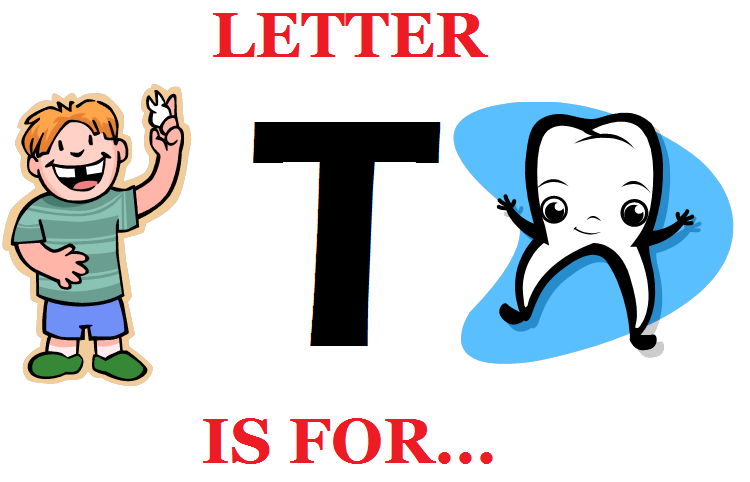 “Letter T is for Teeth Week” is next! “Letter S is for Spring Week” was a huge SucceSS! The Sharebox contained So many S items it Seemed that it would Spill! Read on below to learn more about the fun that was had and learning that took place! On Monday and Tuesday morning, the students worked in their stations and completed their letter S tracing and identification activities. 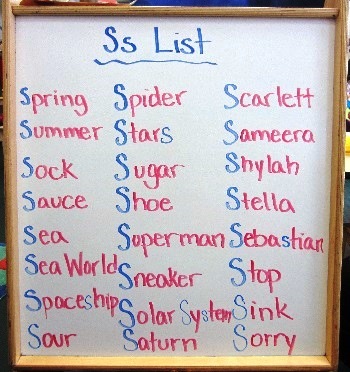 In the afternoon, the students created their Letter S list. Similar to last week, the students ran into some tricky sounds again when words like Circus and Sea were suggested for the list. After hearing circus, the teachers explained that the letter C sometimes makes the same sound as the letter S. Things got even harder to figure out when the word “Sea” was suggested for the S list. If you repeat the following sentence aloud, you will hear why this was so tricky. “Circus sounds like ‘sssss’ but is really a ‘C’ but the word Sea says ‘C’ but really starts with an S”. Fortunately, the students were able to think of many words that begin with the letter S that were not so tricky! Here is the list from the Tuesday group! Also on Monday afternoon, the students were visited by a PPA Mommy of not one but TWO PPA students! The Mommy photographed below came in and led an amazing Spanish language activity with the students! The Mommy, who happens to be an elementary school Spanish teacher, clearly knew that the students were learning about Los Animales in Spanish as the activity incorporated Bill Martin Jr’s classic story, Brown Bear, Brown Bear What Do You See? or ?Oso Pardo, Oso Pardo, Que Ves Ahi? was all about animals! The students were certainly familiar with some of the vocabularly like Oso (bear), Pájaro (bird), Perro (dog), y Gato (cat). Some new vocabularly that the Mommy introduced included: Pato (duck), Caballo (horse), Rana (frog), Oveja (sheep), y Pez (fish). The students had a blast expanding their Spanish vocabulary – A special gracias to this Mommy for spending the afternoon with us! The art exploration of Spring began on Wednesday as the students began part one of their two part project! Using clay, the students molded and sculpted their very own tiny flower pot! Whether they made their pots tall or short, thick or thin, the students all did a wonderful job shaping their flower pots! The pots were set aside to dry overnight and the students returned to their morning stations! During the afternoon on Wednesday, the students continued the Spanish fun as they transformed into animals during Charades Animales or Animal Charades! Thursday began with another Spring-inspired art project! 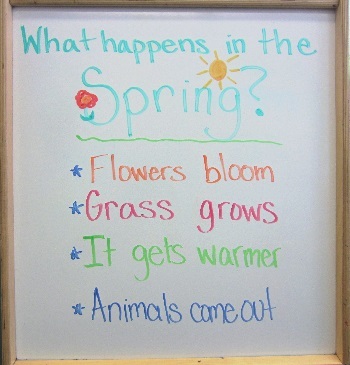 After morning meeting, the students discussed what happens in the Springtime. Here is the list they created. To help remember that Spring is the season where grass grows, flowers bloom, animals come out to play, the students created the following, “HAPPY SPRING” art project complete with little buds (popcorn) coming to life! What a beautiful project, what a beauitful season! During the afternoon on Thursday, the students were paid a visit from a big kid Kindergartner/PPA graduate and her father – also known as Lil’ Ms. Shamrock and Mr. Shamrock! The Irish duo came to visit the students of PPA to teach them about the upcoming Irish holiday – St. Patrick’s Day! Mr. Shamrock informed the students a bit about his native country, Ireland, while Lil Ms. Shamrock did a phenominal job reading a silly story – There Was An Old Lady Who Swallowed A Clover! What a wonderful day it was! A special PPA Thank You to Mr. Shamrock and Lil’ Ms. Shamrock for visiting us and of course – HAPPY ST. PATRICK’S DAY! Friday morning was super exciting! The students rushed into school and asked, “Are the pots dry yet?” They could hardly wait to get started! Fortunately, the pots had dried quite nicely and were ready for decorating! Using particularly Spring-y colored paint, the students filled their flower pots with beautiful colors and set them aside to dry! By Friday afternoon, the painted pots had dried – all that was needed was a flower! But where would they get a flower? A technology presentation all about Spring helped answer this question and also introduced another important Spring-themed S word – Seeds! The video below was particularly helpful to show the students what they could expect to happen in their flower pot! The time lapse video below shows the entire process from seed to plant in a few minutes or so! Here is another view of plants sprouting. This is what the students will likely notice over the next few weeks! Once the plant breaks through the soil, they can keep an eye out for some flower buds just like this rose! How exciting! Speaking of exciting, the students loved seeing this clip where a baby bud was not quite ready to blossom just yet but it was certainly ready to dance! Enjoy! After the techonology presentation, the students could hardly wait to get planting! Before starting, they needed to discuss all of the ways to care for their new seeds including watering (but not too often!) and placing the pot in sunlight! Just like people, plants need food/nutrients (which they get from the soil), water to drink, and warmth to grow! One by one, the students came over and began filling their flower pots with some soil, a few seeds, then a little more soil. The final step involved adding some water! Once all of the seeds were planted, they were set aside in a nice sunny spot of the classroom until it was time to go home for the weekend – flower pot in hand! We hope our students and their families enjoy caring for their seeds/flowers. Be sure to take photos of the flower pot over the next few weeks as we would love to see what Sprouts! Well, that is all for Letter S week! As always, thanks for reading and see you next week! Parent-Teacher Conferences will take place throughout the next two weeks!